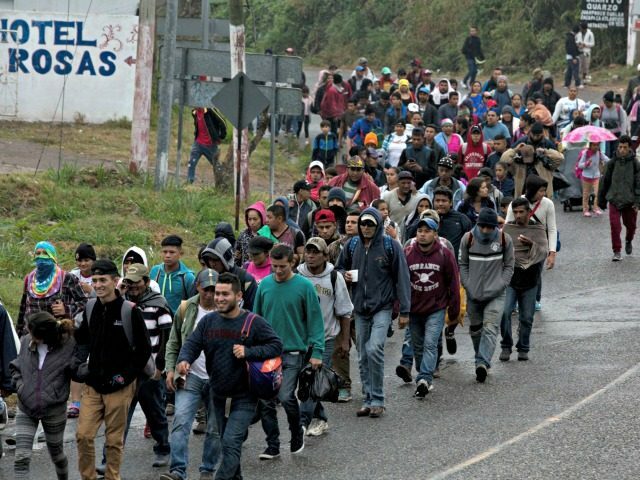 Unlike illegal immigration in past decades which occurred under cover of darkness, the vast majority of these migrants walk straight up to Border Patrol agents in broad daylight and make bogus claims seeking asylum. As one Border Patrol agent told me, the illegal aliens treat Border Patrol officers like Über drivers. They transport the aliens to CBP stations for initial screenings and then release the aliens into the interior of the United States, telling them that they must return for their hearings. Most never show up. Publish the final version of the regulation that would supersede the Flores Settlement. The initial regulation was published by the Department of Homeland Security in September 2018. DHS could have published the final regulation in December. Inexplicably, DHS has dragged its feet. Finalizing that regulation would allow the United States to detain entire families together, and it would stop illegal aliens from exploiting children as get-out-of-jail free cards. Set up processing centers at the border to house the migrants and hold the hearings in one place. The Department of Justice should deploy dozens of immigration judges to hear the asylum claims at the border without releasing the migrants into the country. FEMA already owns thousands of travel trailers and mobile homes that it has used to address past hurricane disasters. Instead of selling them (which FEMA is currently doing), FEMA should ship them to the processing centers to provide comfortable housing for the migrants. In addition, a fleet of passenger planes should deployed to the processing centers. Anyone who fails in his or her asylum claim, or is who not seeking asylum and is inadmissible, should be flown home immediately. It would be possible to fly most migrants home within a few weeks of their arrival. Word would get out quickly in their home countries that entry into the United States is not as easy as advertised. The incentive to join future caravans would dissipate quickly. Publish a proposed Treasury regulation that prohibits the sending home of remittances by people who cannot document lawful presence in the United States. This will hit Mexico in the pocketbook – Mexico typically brings in well over $20 billion a year in remittances, raking in more than $26 billion in 2017. Then tell the government of Mexico that we will finalize the Treasury regulation unless they do two things to help us address the border crisis: (1) Mexico immediately signs a “safe third country agreement” similar to our agreement with Canada. This would require asylum applicants to file their asylum application in the first safe country they set foot in (so applicants in the caravans from Central America would have to seek asylum in Mexico, rather than Canada); and (2) Mexico chips in $5 billion to help us build the wall. The threat of ending remittances from illegal aliens is a far more powerful than threatening to close the border. Ending such remittances doesn’t hurt the U.S. economy; indeed it helps the economy by making it more likely that that capital will be spent and circulate in our own country. We can follow through easily if Mexico doesn’t cooperate. If the United States were to take these three steps, the massive caravans would stop, and the current crisis would be solved. But it takes leadership in the executive branch willing to act decisively. Kris W. Kobach served as the Secretary of State of Kansas during 2011-2019. An expert in immigration law and policy, he coauthored the Arizona SB-1070 immigration law and represented in federal court the 10 ICE agents who sued to stop Obama’s 2012 DACA executive amnesty. 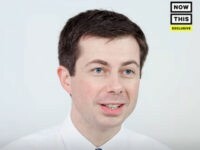 During 2001-03, he served as U.S. Attorney General John Ashcroft’s chief adviser on immigration and border security at the U.S. Department of Justice. His website is kriskobach.com.